Our company, Vacuum Brands Ltd, are long-standing in the New Zealand vacuum cleaning industry promoting all variants of non-domestic vacuum cleaners. That’s all applications, all needs, wants, solutions, all categories through all classifications. Add specialised products such as Dust Control, Fume Extraction, Production Waste, Service Vacuums (Pull-a-long and Back Pack vacuums), Pharmaceutical, Food Processing, Warehousing, Education and Transport. Yet, including also WaterBlasting, Pressure Cleaning. Venturi and Outdoor – We have it all; for 23 long years, we have been there, done that! Our introduction of FumeVac and Westvac vacuums to New Zealand is to satisfy the demands set in the Health and Srol rolafety at Work Act 2015. WorkSafe New Zealand will oversee workplace compliance of the Act, of which adequate ventilation. control and capture noxious dust and fumes in the workplace are of paramount importance. We are agents for Villo who manufacture and supply a full range of ventilation and welding fume equipment to satisfy these regulations also. 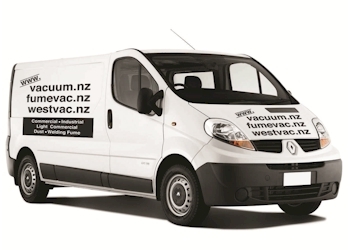 Vacuum Brands Ltd is a member of the N.Z. Concrete Sawing & Drilling Association. Witness the numerous vacuum cleaners, models and their specifications listed in the Westvac and Villo Floor Grinding range. Westvac and Villo boast international certifications and meet all standards in the manufacture of their equipment. A condition of the New Zealand and China Free Trade Agreement is that all international certifications and standards demanded by the New Zealand industry are met. Pricing of Chinese manufactured goods is ultra competitive with all similar brands, makes and models of floor grinding vacuum cleaners traditionally sourced from Europe. We refer to service vacuum cleaners as those that are widely used in the accommodation, housekeeping and office cleaning industries. With many finding their way into private homes. 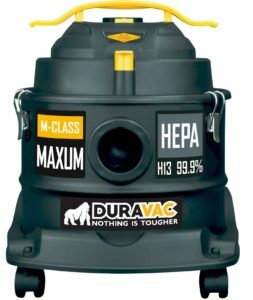 Check out the latest Pacvac Canister range – a brilliant couple of vacuums ideally suited for daily use in almost any environment. Vacuum Brands Ltd stock a complete range of backpack vacuum cleaners.